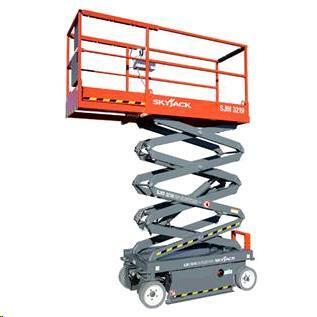 SCISSOR LIFT 19 FOOT SKYJACK 3219 Rentals Ft. Collins CO, Where to Rent SCISSOR LIFT 19 FOOT SKYJACK 3219 in Ft. Collins, Wellington, Greeley, LaPorte, Loveland, Windsor CO and all of Northern Colorado. Electric scissor lift, must be used on flat paved surfaces. Proportional controls for drive and lift functions. 24V DC power source. Max lift capacity 500 lbs. Extension capacity 250 lbs. Solid rubber non marking tires. Weight 2580 lbs. Stowed height 78.5"
Length 70", width 32", with 3' roll out extension deck. Turning Radius outside 108 in. inside 50 in. 110V AC outlet on platform with GFI. 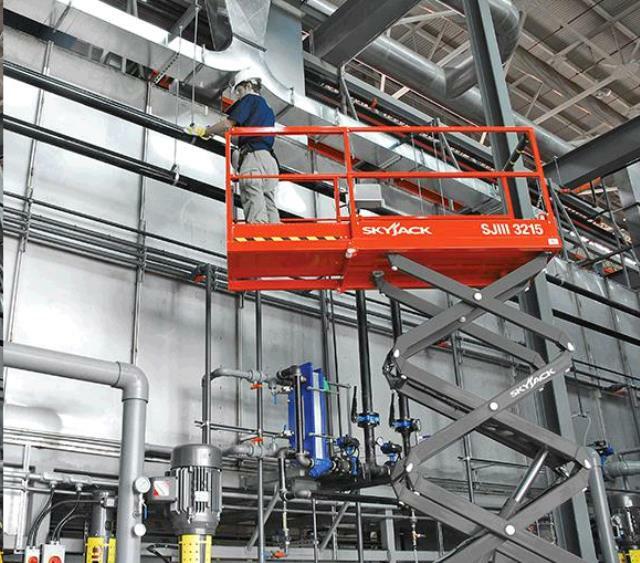 * Please call us for any questions on our scissor lift 19 foot skyjack 3219 rentals in Fort Collins, Wellington, Greeley, LaPorte, Loveland, Windsor CO and all of Northern Colorado.